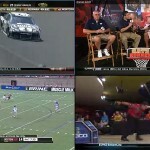 Slingbox is a media player that can stream your existing content to your mobile device or TV via the internet. This easy to set up device allows users to stream their favorite television shows, music, and movies from their Slingbox to any of their supported devices from anywhere in the world. Users are not restricted in any way from enjoying all of their favorite entertainment options. 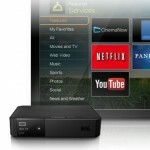 Slingbox allows users to have access to their already existing content no matter where they are. Easy to Use- Not only is Slingbox easy to connect and setup, it is easy to use and navigate. Users will have no problem finding their favorite shows and movies with the user friendly interface. 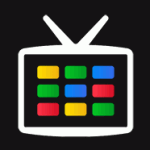 Use It Anywhere- It does not matter if you are going across the street or across the globe you can still access your Slingbox content via your mobile device. Use Your Computer As Your Remote- You can do all of the things that you can do with a remote control with your computer. No Subscription Fees Or Membership Dues- Users can look forward to enjoying all of their favorite content at one flat rate. Instead of paying a monthly cable bill or service charge users only have to purchase their Slingbox once to enjoy it for good. Ethernet For Best Performance- While Slingbox can connect through a wireless router it is best to have an Ethernet connection to ensure best performance. One At A Time- Only one user at a time can use Slingbox at a time. 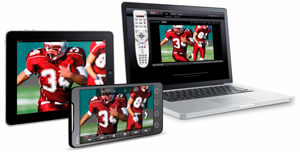 Software Must Be Running To Be Used On Mobile Devices- Users must have the Slingbox software running on their computer to be able to access the content they wish to stream on their mobile device. Slingbox Solo Performance- Slingbox Solo can sometimes stick, freeze, or lose connection. No New Content- Users can only use Slingbox to have access to the content that they already have like their DVR, antenna, Netflix subscription or cable provider. What Content Is Available On This Hardware? The price of Slingbox varies depending on which version of the Slingbox you choose to purchase. Prices can range from around $80 to over $200.